The Primary class is composed of children between the ages of 3- and 5-years-old, and meets five days a week from 8:30-11:30 a.m. The children are ready for a larger group as they develop social skills, language, motor coordination, and perceptual skills. The mixed-age classroom provides social interaction opportunities for the differing maturity and interest levels. 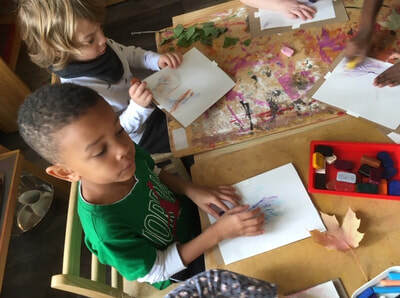 ​The Primary child refines the language, motor, and perceptual skills absorbed in earlier development. 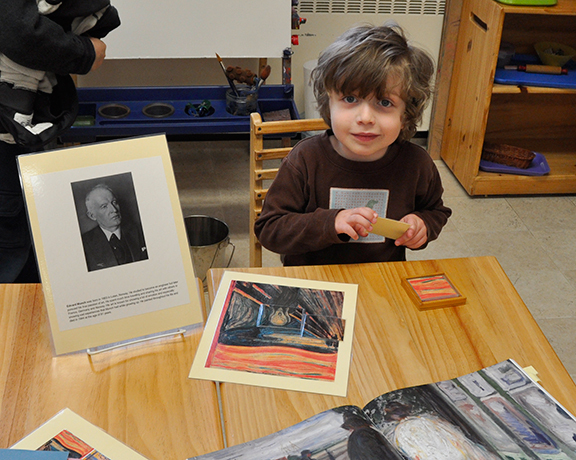 Their experiences are guided by a multi-sensory approach in language, mathematics, geography, art, science and music. 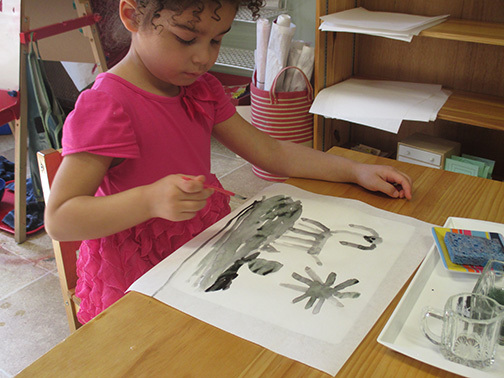 The child refines motor skills, discovers reading through phonics, encounters mathematical concepts through concrete materials, and explores geographical relationships and scientific information through manipulating sensorial objects and real life materials. Children receive daily Spanish experiences and lessons. The program includes preparation for reading, writing, math, natural and physical science exploration through the use of Montessori materials. Children typically enter the class at three years old and remain with the group for the full three year cycle until they are ready for our Elementary program. Children in their last year of Primary attend the Extended Day program.